Willow arrives in London looking to join forces with Angel and Faith and gain access to Angel's son, Connor. With Connor's help, Willow hopes to travel to the fearsome hell dimension, Quor'toth, and restore magic to earth! On the dark side of the moon, Spike embraces some peace, quiet, and distance from the Slayer. But when a pack of demons and a succubus rip him from his melancholic reverie, he embarks on an unexpected adventure that reveals some hard truths. 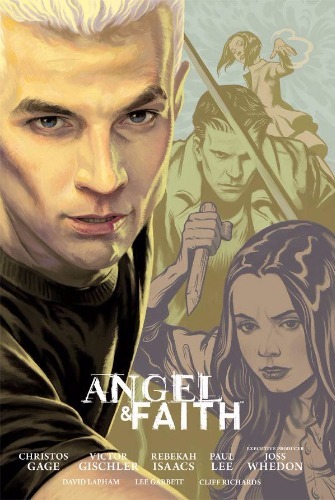 Collects Angel & Faith Volume 3 and Spike: A Dark Place. 8 1/2-in. x 12 1/2-in., 280 pages, full color.